Greenish EarthTone. 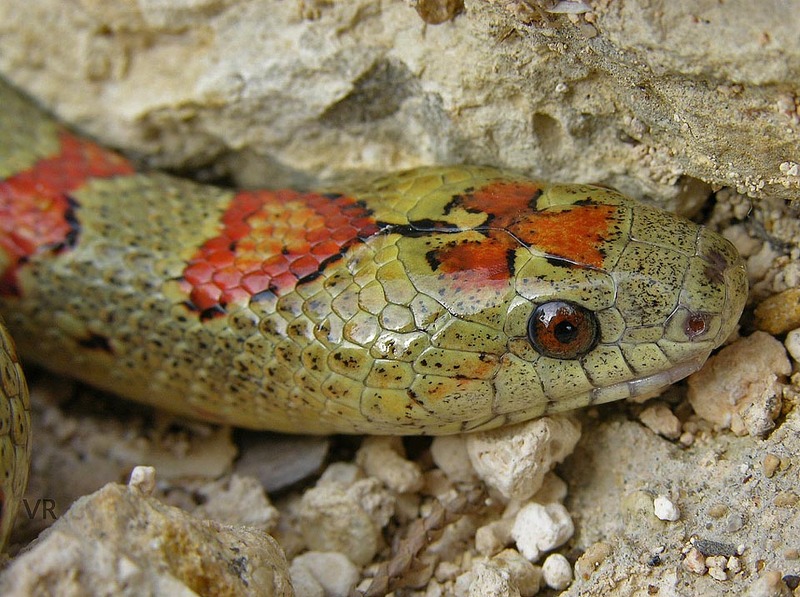 One could collect Variable Kingsnakes just for their wonderful head patterns. In this case, a red phoenix appears to be taking flight against a field of green.